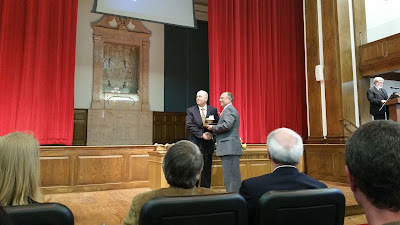 Bill Lizzio, President and CEO of CustomSmart Homes, a modular home builder in East Tennessee, has been recognized for his outstanding service in the Christian community with the Leaders in Christian Service Award from Milligan College. This award is given to select individuals who demonstrate stewardship throughout their professional and personal careers to advance the cause of Christ. CustomSmart Homes is proud to have such a great leader at the helm.